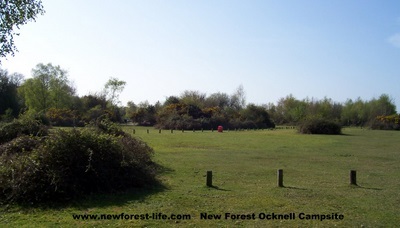 Ocknell Caravan Park and campsite is on New Forest heathland with spectacular views across open countryside and far reaching vistas. Once again good use has been made of the old WW2 Stoney Cross airfield, so many pitches are on hard standing on what used to be the airfield roads and base. 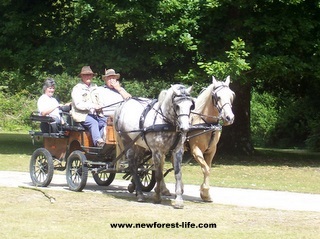 You may see New Forest deer during your stay, I hope so. Best time to see them is early morning or near to dusk. They may also wander into Ocknell Camp site where you may see them up close! 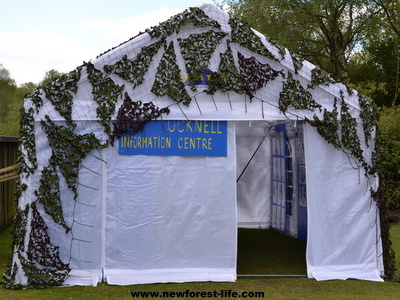 In 2013 the wardens at this New Forest camping area, Irene and Dave put up this wonderful Information Centre where you could see local flora and fauna, find out about the war time history, customs, wildlife facts and much more about this lovely UK National Park and its 1000 year past. Ocknell is only 16 miles from Salisbury where you can discover its Roman history, see the medieval buildings, and visit the magnificent Cathedral. Stonehenge is north of Salisbury and approximately 10 miles more for your journey - why not make a day out of both places? The new Visitor Centre is well worth a visit but you must book as timed tickets started from Feb 2014 - that way you get a better experience. I suggest you try to go in the morning as it gets busier later in the day. Fairly close to A31 so some road noise - not as quiet as Longbeech which is just up the road. Public transport is a real challenge! You'll need OS map Explorer 22 to find out all the secret places of the New Forest! I hope you enjoy staying at either Ocknell Caravan Park and Campsite or along the road at Longbeech at these lovely New Forest campsites and that you take home wonderful memories of this beautiful UK National Park.